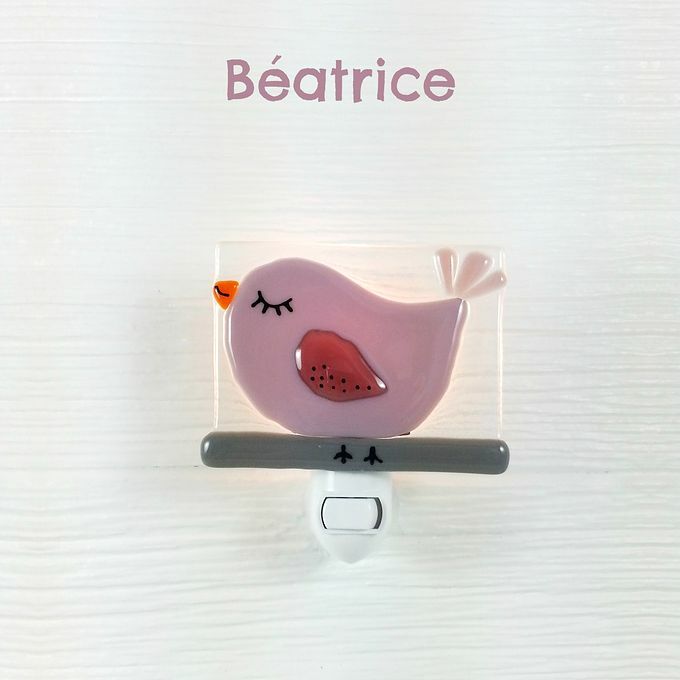 This beautiful fused glass night light is ideal to illuminate the nocturnal awakenings of your little treasures! Each piece is handmade by a Montreal artist. Local product, handmade in fused glass. The glass plate measures approximately 9.5 cm x 7 cm. The mechanism is adapted to North American standards (Canada and the United States). With the fused glass technique, shapes and colors are unveiled during the cooking to obtain jewelry and fine art objects.